If you want to find another vehicle like the Dodge Durango, good luck. Yes, it’s a three-row SUV, but it’s nothing like, say, the Ford Explorer or Honda Pilot. That’s like assuming, because they both have two legs, that an ostrich is the same as Jennifer Lawrence. The Durango has carved out a niche that no other vehicle occupies, perhaps for a good reason: it’s a weird mixture of half truck, half muscle car. Nobody else builds a vehicle quite like this one. On the one hand, with V8 power available, it can do some of the same jobs as big, traditional SUVs such as the Chevy Tahoe. It can tow 6,200 pounds and has seats that fold down to leave cavernous space on moving day. 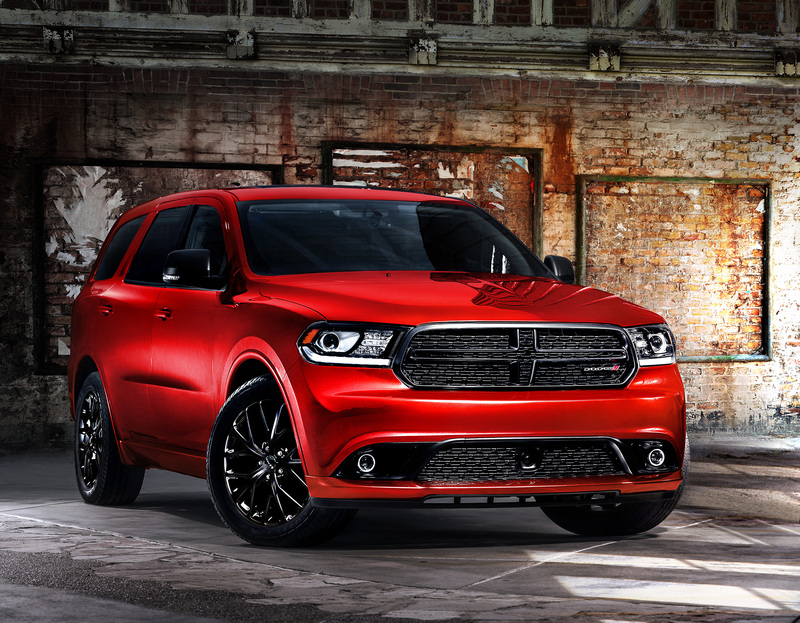 The Durango has a snarling nose that emphasizes its sinister side. With a HEMI V8 engine and sporty suspension tuning available, it’s in a muscle-SUV class by itself. On the other, it rides relatively low to the ground and handles more like a sports car than a truck. With rear-wheel drive and a suspension that keeps body roll in check, it can change direction faster than a politician after election day. That makes it more fun to push hard than any other big SUV, unless you want to spend crazy money on something with a Mercedes, BMW or Porsche badge. The question, then, is how long an outlier vehicle like the Durango can exist when the mass market has moved elsewhere. There’s no question that mainstream buyers today are flocking to fuel-efficient, car-like crossovers that sort of look like SUVs, albeit ones with gutless engines and indistinct, cookie-cutter styling. Those are the vehicles that are hardest for me to write about because they’re so darn similar, like I’m reviewing flavors for Vanilla Magazine. The Durango presents a different challenge. How do you review watermelon chocolate? Well, if you like watermelon and you like chocolate, you’ll probably enjoy watermelon chocolate. If you like trucks and you like muscle cars, you’ll probably enjoy the Durango. Personally, I relish that mixture because it’s so unusual. It has its drawbacks, starting with city gas mileage ratings of 19 mpg with the base V6 and 14 with the V8, but the benefits are plentiful. The Durango is a do-it-all vehicle that can haul your kids, tow your toys and make you smile on weekend drives, complete with a throaty roar and tire smoke if you’re so inclined. It even looks the part, with a sleek, wagon-like profile and front grille that goes beyond aggressive. It’s almost murderous. Also available with red leather, the Durango R/T’s cabin has a driver-centered layout with good visibility and a solid, weighty feeling from the front seat. Even Dodge’s lineup changes this year bring out its homicidal side. The Durango GT supplants the Limited trim as the new volume model, with a monochrome, sinister, car noir look. A new appearance package on the upscale Citadel models adds — I’m not kidding — “anodized gunmetal” trim on the steering wheel and speakers. The Brass Monkey package is back this year, too, something I hope they’ll consider renaming Brass Knuckles. The black leather interior in my Durango R/T tester added to my bad-guy impressions, but not all Durangos are so stark. 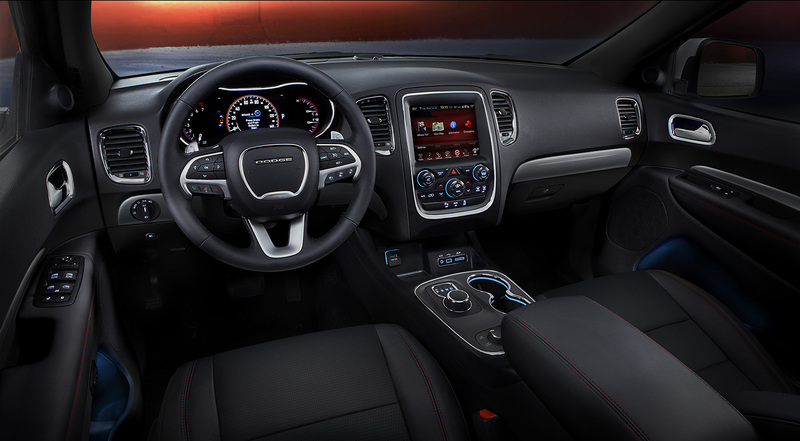 Some are downright warm and cozy, a testament to the Dodge interior design team’s creativity. Pricing starts at $29,995 for the SXT trim with rear-wheel drive. You can tack on an additional $2,600 to get all-wheel drive if you need it. Topping the lineup is the R/T model starting at $44,695. Fancy options pushed the price of my tester up to $51,560, including some that surprised me: a nicely sorted adaptive cruise control system and a Blu-Ray player in the back seat. With the optional HEMI V8 engine and sporty suspension, it’s an unusual combination of thrilling to drive and highly capable.